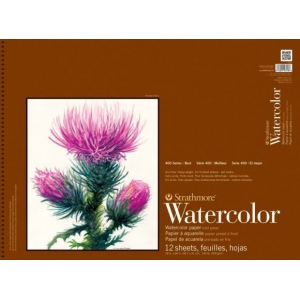 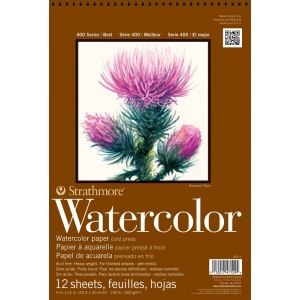 Strathmore’s intermediate grade watercolor paper is popular with watercolorists of all levels because of the fine and even washes that can be achieved using this sheet. 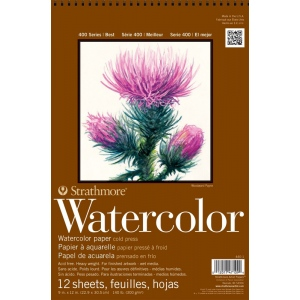 * It also has a strong surface that will allow for lifting and scraping applications. 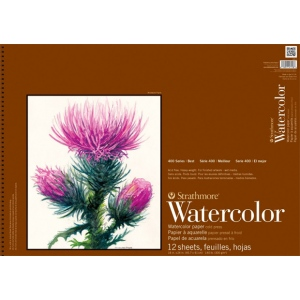 * The natural white color and traditional cold press surface make it an ideal sheet for mastering watercolor techniques or for finished artwork.